Now available from SIG SAUER. SIGM400 16" Enhanced Upper Receiver. Bolt Carrier Group and Charge Handle NOT included. Also included is a Sig Sauer Romeo5 (SOR52001). The Romeo5 is packaged in the box with the upper (the sight is wrapped in bubble wrap). How does MOTAC work? My Romeo5 doesn't seem to turn off like it should. The Romeo5 and other Sig Electro Optics that have MOTAC (Motion Activated Illumination) are very sensitive to any motion or even vibration. 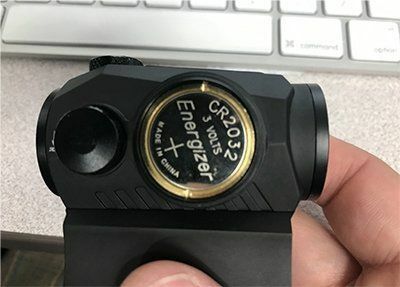 From Sig Sauer: MOTAC increases battery life by shutting down the system when not in use and instantly activates the system when it senses the slightest vibration or movement. Your sight will be up when you go into action. The ROMEO5 will mount on any platform and the solid aluminum design will give peak performance and years of service. We have sold thousands of Romeo5 optics and have never seen one that had a defective MOTAC feature. To test the MOTAC feature, turn on the optic and place the optic on a solid surface that has no vibration (a table top, desk, or chair) in a manner in which you can look through and see the dot without having to move or touch the optic. Ensure that there is nothing which might create a vibration and let the optic sit for approximately one minute. The reticle should turn off. You can look through the optic and see that the Romeo5 shuts itself off. If you tap or even slightly move the optic, it will turn back on. Very slight vibrations, even those from an incandescent light (a customer tested his on the shelf of his safe and an incandescent light was mounted on the underside of the shelf) can prevent the sight from shutting itself off. I just received my Romeo5 and it doesn't seem to work. What should I do? There are a few steps to troubleshoot the Romeo5 to verify if it is functioning properly. Next, press and hold the + button on the top of the Romeo5 for approximately three seconds to activate it. It is possible that the intensity is turned down very low where the dot is difficult to see. Press the + button five to ten times to check if the dot becomes visible. Last, if these steps do not work, it is recommended to test another battery, if you have one available. The Romeo5 uses a CR2032. If you still have problems after trying the steps above, we recommend calling Sig Sauer's support staff by calling 603-610-3000 (option 1). Is the hand guard key mod or m-lok? This is an MLOK handguard. Is the barrel Crome lined..? The barrel is not chrome lined. According to information we received from Sig Sauer, the barrel is Nitride coated. What are the specs on the barrel (metal spec, twist, etc.). Micro Lite gas block? Is this package from Sig, or aftermarket?? We package the Romeo5 with the upper. The upper comes from Sig. The barrel is nitride coated. This has a carbine length gas system. The upper weighs 3lb 5oz and has a 1 in 7" twist. The gas block is Sig's and we believe it is the M400 low profile gas block. What is not from Sig Sauer on this? Also have there been any complaints on the free float rail that’s on it? Sig used to offer this but discontinued it. We have sold about 500 and have not heard complaints on the rail.